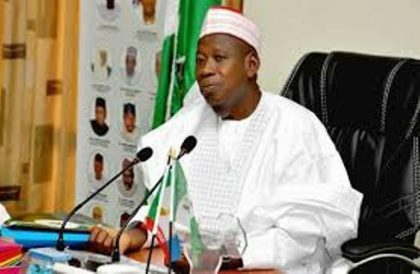 The Kano State Government says N786 million has been proposed in its 2019 budget to sensitise the electorate on the peaceful conduct of the general elections in the state. The Commissioner for Information, Mallam Muhammed Garba, made this disclosure on Wednesday shortly after he appeared before the state House of Assembly Committee on Information to defend the proposed amount. According to him, the ministry has no major project to carry out in 2019, except to focus on the sensitisation and mobilisation of the electorate to ensure that the election is conducted peacefully. He added that it is the responsibility of all media houses to create awareness, sensitise and educate the electorate on the importance of peaceful election. In the same vein, the Managing Director, Kano State Television, Abubakar Rimi Television (ARTV), Hajiya Sa’a Ibrahim, said N300 million was proposed for the station. According to her, the state government is planning to begin the operation of its newly established sun-station in Tudun Wada Local Government Area of the state. She said: “We have a clinic in our station, meant for our staff, but we later expanded it to cover the nearest communities. Therefore, in 2019, we plan to boost and provide it with necessary equipment”. Similarly, the Managing Director of Kano State-owned newspaper, Triumph, Alhaji Lawal Sabo, said that N400 million had been proposed for capital projects in 2019.